Why does my dog roll in poop and other stinky stuff? 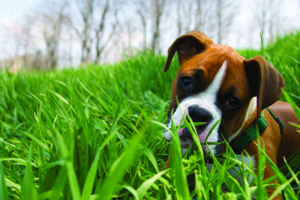 Most dogs love to roll in stinky substances that repulse humans. It is a natural behavior to them, and usually a way to mask their own scent. Rolling in something with a strong smell makes your dog feel invisible and sneaky. This is a very difficult behavior to curb. Limit the dog’s opportunities – keep the yard as clean as possible, and when leash walking, keep an eye out for dead animals and mud. Praise your dog when leaving it alone.